Comments Off on What Is Probate? Probate is a legal concept that many people have heard about, and many are even afraid of, without understanding exactly what process is, how it works, and how to prepare for it. If you’re asking yourself “What is probate?” there are a few key things you should know. You may have heard of “probate court” and immediately pictured people in handcuffs, dramatic scenes of relatives crying, and a judge who reads out legalese from a high podium. In trust, most probate legal proceedings are nothing like TV courtroom dramas. For one, probate tends to be a rather dignified and restrained process. Since most people who are involved in probate court are going through a stressful emotional experience to begin with, the court is designed to make the process less dramatic. Probate involves multiple steps through the legal system. That’s not to say that probate isn’t stressful – it requires legal documentations, scheduled hearings with attorneys, and can often involve intense emotions. 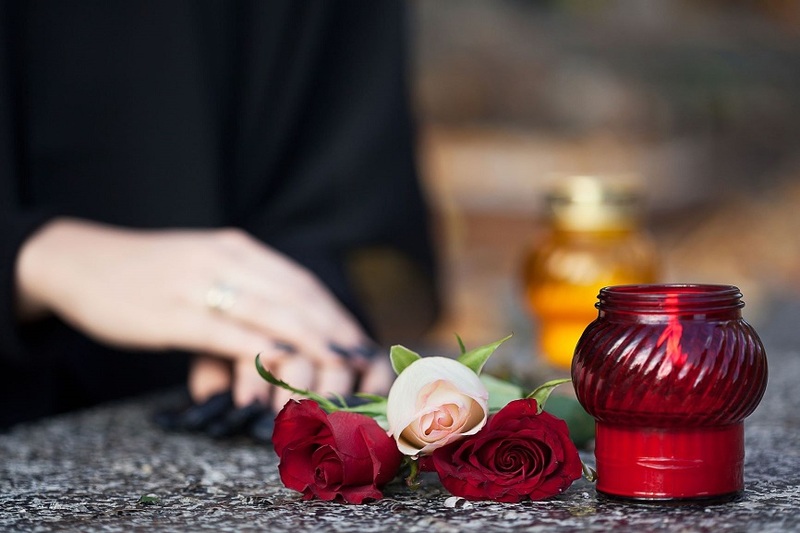 When someone passes away, their properties and assets have to now legally belong to someone new. But who? 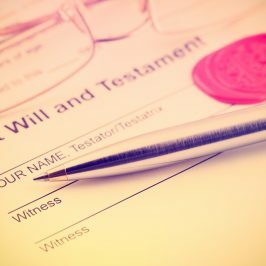 Many people expressly want their assets distributed in a specific way, and to prepare for the inevitability of death, they prepare a Last Will and Testament. Often, with the help of an estate planning attorney. When a person is still of legally sound mind, they can document their wishes for their property after their death in a formal document. Some people write a very simple will, leaving a lump total of their assets to one or a few people. Other people make detailed and explicit Wills that spell out particulars of accounts, real estate, stocks, physical property, and cash value that they want distributed to loved ones or charities. 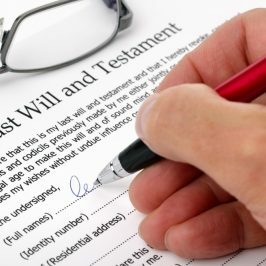 A Last Will & Testament also often includes directions for a person’s burial, cremation, or other arrangements, as well as important information like passwords, PIN numbers, or other information to allow a person’s important data be accessed after their death. In addition to a Last Will & Testament, there is another type of document that helps determine the legal ownership of property easier. Instead of, or in addition to, a Will, many people also choose to establish a Living Trust that places their assets under an umbrella. The person chooses a beneficiary (or several) or their assets, as well as a neutral third person to manage the assets within the trust. 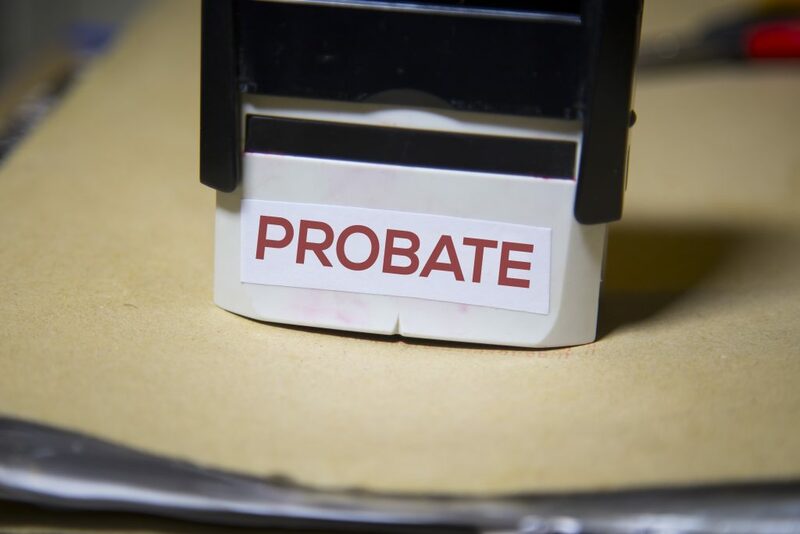 We like to say that probate “doesn’t begin at death” because there are many things a person can do to well before they get close to death to prepare for asset ownership distribution in probate. During grief is not the time you want to deal with estate management. Many people are afraid of probate because they’ve heard that people can “lose everything” or that probate is so costly that there’s nothing left afterward. While this is an exaggeration, there is some truth to the idea that probate costs a significant amount of money that you’d probably rather not pay, if you don’t have to. By preparing for probate from the moment you own your first asset, you’ll reduce the cost of distributing your property after your death. Probate involves lawyers. There’s really no way around it. At your death, if there is no direct and clear owner of your property, court-appointed lawyers will inventory your belongings, have them evaluated, determine who they should belong to, and distribute them accordingly. Your wishes, and your family’s wishes, may be given minimal consideration. This is the most costly form of probate. In this situation, the court will repay itself for the trouble it goes through to evaluate and distribute your property. Often, this results in high court fees and extensive legal fees, especially if you had a lot of assets that take a long time to compile and distribute. If you prepare your own legal documents in order to reduce the cost of probate court proceedings, you will still be paying legal fees, but it will be to an attorney that you trust, in order to make sure that your wishes are executed properly. Property taxes, estate taxes, inheritance taxes – oh my! There are many ways that your assets might be evaluated and taxed, depending on what types of assets you have and who is doing the evaluation. Don’t let someone who doesn’t know you, your situation, or the nuances of your finances, determine how everything you’ve worked your whole life for gets taxed. Some people will shell out money for material things but are not willing to spend for estate planning. Your death will devastate your loved ones, but it will be tougher on them if you didn’t make plans in the event of your death. With the help of an estate planning attorney, you can create an estate plan that ensures your family is cared for even after your death. The best time to create an estate plan is now. So long as you have assets and properties and children who rely on you, this is an investment you should be making. Copyright © 2019, Legal Daily. All Rights Reserved.